Unique, serious and amusing at the same time, Lavaux Vinorama is the Centre for the discovery of Lavaux wines and vineyards terraces, which is one of the UNESCO World Heritage sites. Its motto: promoting the values of this incredible wine region. Come and enjoy cultural and sensory experiences about vine and wine. Discover the 290 wines of the whole Lavaux vineyards region : numerous Chasselas, the emblematic grape variety of the area, elegant and powerful red wines, white wine specialties, sweet wines. 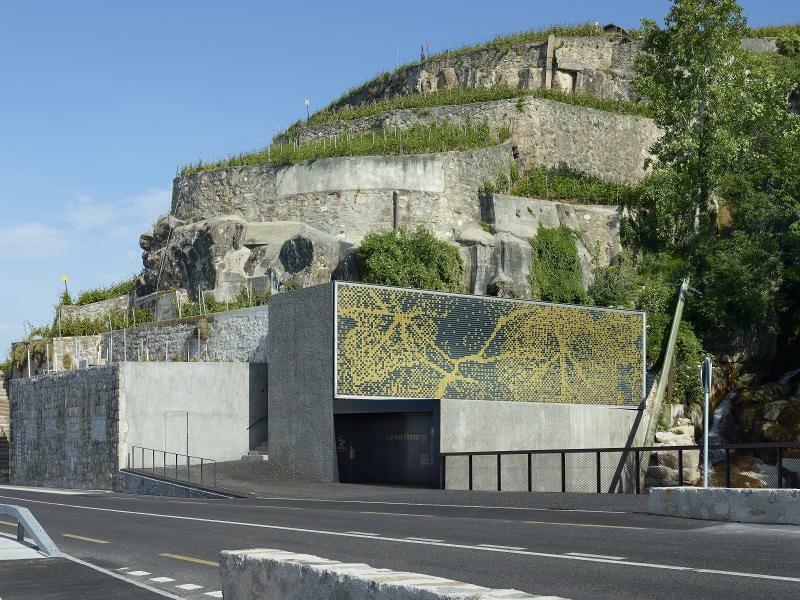 The hi-tech projection room will show you a spectacular film about a "Winemaking year" in Lavaux, in eight languages (FR/EN/DE/ES/IT/RU/JP/CHN). Let yourself be surprised by a pleasant experience during one of our commented tastings : «Chasselas», «Découverte», «Rouge» ou «Connaisseur».